You may have heard of “detoxing your body.” But have you tried it for yourself? 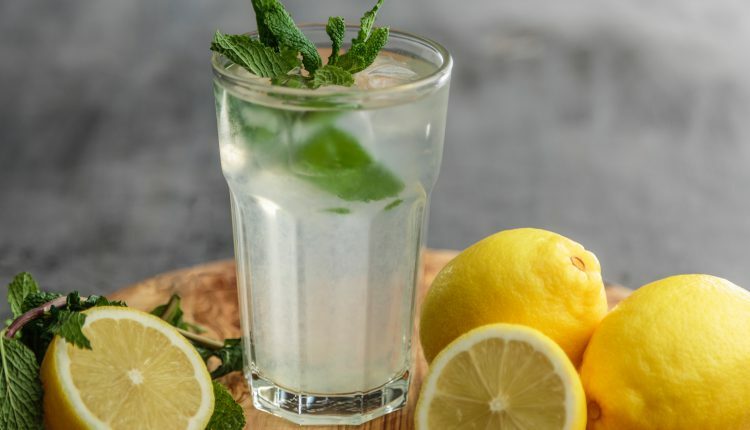 If you’ve been considering a detox but aren’t sure, learning about the many benefits of detoxing will help you make up your mind. Detox diets get rid of toxins in the body and develop the habits that will keep you on track for a healthier life. As you may know, the body has its own natural detox methods. The liver, sweat, and urine are all ways your body rids itself of toxins. However, sometimes these vital organs work too hard and need a break. A detox diet is a great way to take the pressure off your organs, so you can keep them strong for the future. There are many different types of detox diets, and each one will give you slightly different results. But no matter which you choose, the benefits of detoxing can’t be denied. Let’s take a look at 10 ways a detox diet can benefit you. There are many reasons to do a detox besides losing weight. But if weight loss is one of your goals, a detox diet can be a great way to jumpstart your progress. Detoxing can also help with long-term weight management. If you’re at an ideal weight but want to make sure you stay there, try a detox to keep your body on track. One of the best things about a detox is that it doesn’t just help right now — it sets you up to have healthy habits in the future. So even after you’re done with the detox, you’ll have the habits you need to keep on track for future weight loss or weight maintenance. An energy boost is one of the first benefits of detoxing you’ll notice. Who doesn’t want more energy to get them through the day? Between work, family, hobbies, exercise, and a social life, the modern world demands a lot from us. Detoxing takes away things like sugar and caffeine that cause energy crashes, leaving you with more stable energy throughout the day. As mentioned above, detoxing helps your body out with toxin removal. It purifies toxins that your organs may not be able to keep up with, and gives those organs that are responsible for waste removal a much-needed rest. Even if your liver, kidneys, and other organs are in healthy working order, your body may still be storing more toxins than you realize. A detox is a great way to get rid of those toxins and help your internal organs to their job more effectively. Since detoxing takes some of the workload off your organs, they can then do a better job of protecting your body from illness. You’ll absorb much-needed nutrients faster, like Vitamin C, which is known to be great for the immune system. If you’re on a detox that involves taking certain herbs, you might also experience a boost to the lymphatic system. This system is partially responsible for keeping you healthy and toxin-free, so you’ll want it working well. The removal of toxins from your body has some pleasant side effects besides improving your health. One of the benefits of detoxing is better breath. Your digestive system will be able to function better, removing some of the causes of bad breath. However, keep in mind that during the detox your breath may actually get worse, because your body is adjusting to the changes and releasing the toxins. After it’s done, you’ll see the benefits. You can use all the most elaborate skincare regimes, but if your diet isn’t healthy, you’ll still experience skin problems. A detox is one of the surefire ways to clear up your skin. Some detoxes even include a sauna element, so you’ll be able to literally sweat out some of the toxins that clog your pores. But even if you only use diet, you’ll still see results. As with your breath, sometimes the issue will get worse during the detox itself, and clear up after the detox is over. So be prepared for a new breakout or skin issue while your body is in the detoxification process. For clearer thoughts and a better memory, detoxing is the way to go. The benefits of detoxing aren’t just physical. In fact, many detoxes include ways to care for your mind, as well as your body. You might use meditation as part of your detox plan, for example. The sugar crashes and other negative effects of an unhealthy diet can also affect your mind. Once you’ve experienced this detox benefit, you’ll never want to go back. Shiny, healthy hair is yet another benefit of detoxing. Your follicles need the right nutrients to grow healthy hair. A buildup of toxins prevents those nutrients from getting where they need to be and often results in dry, brittle, broken tresses. You might also see faster growth, making this a great idea for anyone planning to grow out their hair. Growing older is a beautiful thing, but we don’t always want the outward signs of aging that come with it. Detoxing helps you slow down the visible signs of aging by reducing toxins that contribute to the skin damage we usually associate with growing older. One of the myths of detoxing is that you won’t enjoy anything you eat during the process. The reality is that a detox diet can actually help you enjoy your food more. This doesn’t mean you won’t experience cravings for sugar and the other things you cut out of your diet — at least at first. However, detoxing increases your connection with, and awareness of, the things you’re putting in your body. You’ll be eating healthy, well-rounded meals mindfully, and you can still use some of the foods you love while incorporating new things that you may learn you love too. Ready to Experience the Benefits of Detoxing? There are many benefits of detoxing — both for your mental and physical health. Best of all, a detox jumpstarts you on the path to a healthy lifestyle that you’ll be able to maintain for years to come. You can purchase your own 30-day Nutricode ‘Detox in a Box’ via FM World UK (rrp £60) or you have the option to sign up as a FREE PREFERRED CUSTOMER where you can then purchase the product for only £28 in your first 10-days (£40 thereafter).